Click here to register to view a video playback. Join renowned brain health expert Dr. Cynthia Green for this outstanding presentation. The one-hour webinar includes a short question and answer session. Watch a video playback of this webinar here. Cynthia R. Green, Ph.D., is one of America’s foremost memory fitness and brain health experts. In 1996, Dr. Green founded The Memory Enhancement Program at the Mount Sinai Medical Center, the first program of its kind in the U.S., offering a unique and innovative approach to enhancing memory fitness in healthy adults of all ages. In 2000, Dr. Green founded Memory Arts LLC, a company that provides brain health services to organizations, corporations, and individuals. 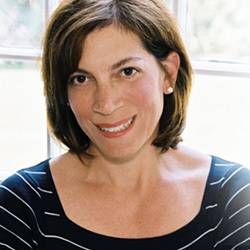 She has served on the faculty of the Mount Sinai School of Medicine since 1990, where she is currently an assistant clinical professor in the Department of Psychiatry. Dr. Green is a recognized expert in the diagnosis and treatment of Alzheimer’s disease, having served as co-principal investigator on a number of clinical trials that evaluated treatments for this condition.